I finally found something that works surprisingly well for my chronic lower back pain caused by hours of sitting in front of my computer. For years I have applied essential oils and done yoga exercises for my lower back pain, and it used to work. Now that I'm beyond 50, however, it's not working as well, I'm in too much pain, and every so often I have really severe episodes that take a lot longer to heal. I've done a ton of exercises I've searched for on the web, but the improvement has been slow... until now. I recently discovered a simple series of exercises for lower back pain that, coupled with essential oils, make a big difference in keeping my back in better shape and free from pain. I've always known that stretching, balancing and strengthening the muscles in the back, abdomen and legs are essential for maintaining a healthy back. But I didn't realize the importance of a chain of muscles that must all be strengthened together for balanced back support. A chiropractor, Dr. Eric Goodman has a series of videos on YouTube that demonstrate a series of short exercises you can do for just a few minutes throughout the day whenever you start feeling lower back pain. The exercises are amazingly effective, especially when you add essential oils. 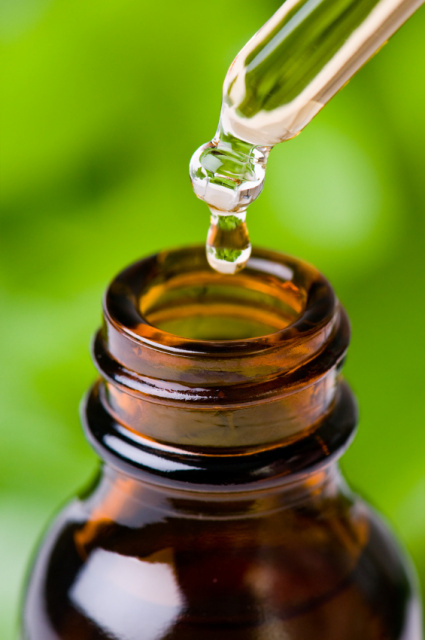 I've found that when I apply my essential oils blends before back exercise by dripping a few oils over my shoulder and rubbing them in as best I can reach, my muscles relax, my range of motion improves, and the benefits last much longer. When the muscles are warmed and activated by the essential oils, they seem to build, repair themselves and recover faster as well. Millenia is the first blend I always use for the back. It was specifically blended for balancing and aligning the back and the electrical energies of the body. It has a universally appealing fragrance that is perfect for both men and women. It doesn't conflict in fragrance with any other oil blend and can be worn anywhere. It lowers inflammation, calms and relaxes the tight ligaments and muscles of the spine. Some call it the "chiropractor in a bottle" because it seems to improve any chiropractic adjustment and helps the benefits last longer. It is gentle enough that it can be applied to the back undiluted. If you're applying these oils yourself, simply sprinkle 6 drops down your back and massage them in as best you can with your hand on the upper back and the thumb nail, knuckles or fingers on the lower back. TendaCare is the second blend that's perfect for warming up and relaxing the back muscles before exercise. This is a light blend with a fragrance like a spicy, cooling after shave. You may want to dilute it before you use it. It won't hurt to use 6 or 7 drops down your back undiluted. If it gets too hot, you can massage in a carrier oil to cool it down. If you only have single oils, here are some great choices for cooling inflammation and relaxing the back before and after exercise: Ginger, Chamomile Roman, Lavender, Wintergreen, Birch, Idaho Balsam Fir, Spruce, Peppermint, Marjoram, and Basil. Be sure to dilute Wintergreen and Birch. Here are a number of YouTube videos by Dr. Goodman demonstrating the three core exercises for the back. You can use them all at once in a quick, 20 minute routine or throughout the day whenever you need to stop spasms, readjust, energize and strengthen your muscles to relieve lower-back pain. Here's a full routine that I have used again and again to make sure my form is correct. If you have serious, ongoing lower back pain issues, you may want to listen to the whole 2-hour interview between Dr. Eric Goodman and Dr. Joseph Mercola. Dr. Goodman takes Dr. Mercola through his three main exercises at the end of the video. He also demonstrates the modification of The Founder using a chair instead of the floor for those in severe back pain. If you don't want to listen to the whole interview, you can just move the cursor across until you get to the exercise demonstrations. If you have serious health issues, be sure to check with your health care professional to make sure it's safe to perform these exercises and use essential oils. Dr. Goodman claims that it may be better to do short segments of these exercises throughout the day instead of doing them all at once. If you're doing that, keep a bottle of Millenia at your desk, place a drop or two in one of your palms, rub your palms together and inhale. This will relax your whole body and prepare you for the exercise. You can find all these essential oils and basic essential oil training on http://www.youroilessentials.com.